Studio Site Selection - Smart Studio Inc.
One of the most critical aspects of all new studio projects is site selection. The success and future acoustic performance of your new studio facility can depend on your studio site selection. That is why we have put this list of three factors which we feel should be key in your studio site selection. First thing that should be of concern when choosing the location for your new studio project is noise break-in which relates to any potential noise from external sources breaking into your studio site. Noise sources such as road traffic, trains, aircrafts and industrial plant noise are the main sources to be aware of. Excess exposure to break-in noise can cost considerable amounts of money on expensive soundproofing. Your clients won’t pay extra because it has cost you more to soundproof your studio from external noise break-in as they expect your facility to be protected against noise break-in. Second on the list for consideration in site selection for your studio facility should be noise break-out. Sound created within the studio may leak into adjoining buildings which may be very problematic if the neighbours are more noise sensitive. The extra cost to make such a site suitable in terms of reducing noise break-out may not be worth it. This is not just a financial consideration. Due to the need to install high performance sound insulation structures which would be heavy and thick within your new studio, floor and ceiling space may be greatly reduced. This may also impact upon acoustic performance. Last but definitely not least is room acoustics. When we speak of room acoustics, we are talking about the reverberation time within the finished studio. The target mid frequency reverberation time range should be between 0.25 to 0.35 seconds with a lift of up to 0.4 to 0.5 at 63Hz. Achieving such reverberation times in smaller rooms may be more challenging. This is mainly due to unwanted effects of low frequency model resonances which are more pronounced in small room within studios. One tip that really stands out for us from working on numerous studio projects with broad usage and needs, by locating your new studio in large spaces with high ceilings you will avoid the worst effects of low frequency model resonances. Always as improved acoustics within the studio, instillation of HVAC systems and related ducting will be easier when larger sites are chosen. Added to this, larger spaces allow for greater flexibility and experimentation with your studio’s room acoustics. The above list is not to be considered as an exhaustive list for new studio site selection. 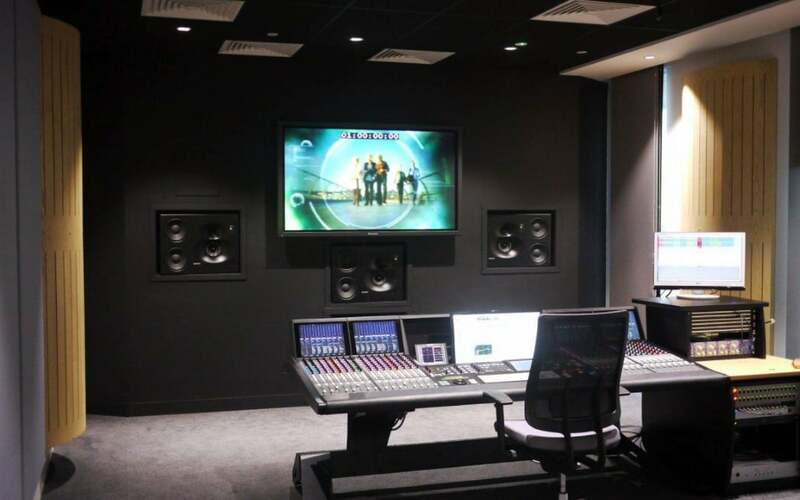 However, adherence to the principles as outlined will enhance your chances of selecting an appropriate site which will support your ambitions of creating a successful audio studio facility. Planning a studio project of your own? Get an estimate for our Smart Studio in 2 minutes here.